Fleeing Nazi persecution for America in the 1930s, the young German-born Jews who would come to be known as The Ritchie Boys were labelled 'enemy aliens' when war broke out. Although of the age to be inducted into the U.S. military, their German accents made them distrusted. Until one day in 1942, when the Pentagon woke up to the incredible asset they had in their ranks, and sent these young recruits to a secret military intelligence training centre at Camp Ritchie, Maryland. These men knew the language, culture and psychology of the enemy better than anyone, and had the greatest motivation to fight Hitler's anti-Semitic regime. And so they were trained and sent back into the belly of the beast, Jews returning to the frontlines of battlefields across Nazi-occupied Europe to defeat the enemy that persecuted them and their families. 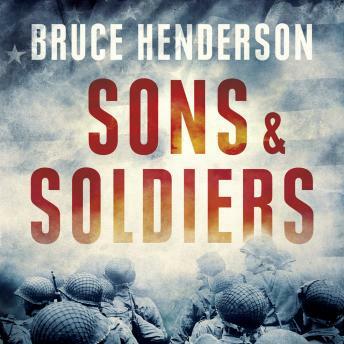 In an epic story of heroism, courage, and patriotism, bestselling author Bruce Henderson draws on personal interviews with many surviving veterans and extensive archival research to finally bring this never-before-told chapter of the Second World War to light.